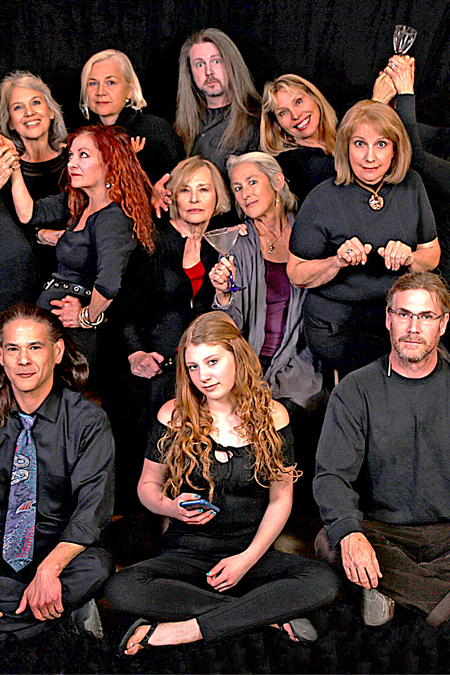 Red Earth Theatre is bringing Little Black Dress INK’s nationally sourced Female Playwrights ONSTAGE Festival to Sedona for the 6th year. 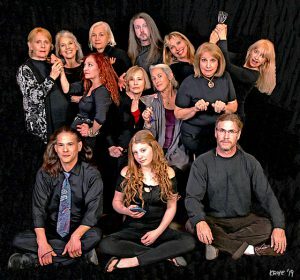 This nation-wide event features local actors and actresses giving voice to short plays and monologues written by female playwrights from across the nation. This reading of exciting new work will take place at the Mary Fisher Theatre on Thursday, April 25 at 7:30 and is open to the public. Every year, Little Black Dress INK (LBDI) — a nationwide female playwright producing organization — invites female-identifying playwrights to submit short pieces to suit the ONSTAGE theme. This year’s theme was Swimming With Giants. After playwrights submitted their plays, they participated in LBDI’s unique peer-review process to narrow down the list of semi-finalists. A play by Kate Hawkes, one of our own playwrights, will be read as will 5 others and monologue. Directors include Dev Ross, Irmgard Lake, Dylan Marshall, Cathy Ransom and Kate Hawkes. Admission is FREE. Donations are accepted. Suggested donation $10 at the door.